Last year, the state department's Center for Strategic Counterterrorism Communications released a brief video on YouTube with clips of exuberant young people participating in popular demonstrations in the Middle East. Interspersed with these dramatic scenes was the now iconic photo of the late Osama Bin Laden watching television from his "man cave" in Pakistan, still a significant global figure but increasingly a spectator forced to react to agendas set in other places by other players. 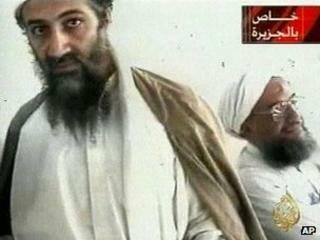 A year after Bin Laden's demise, core al-Qaeda is struggling to survive as a coherent structure. As US Defence Secretary Leon Panetta said last summer: "We're within reach of strategically defeating al-Qaeda." Its leadership continues to be attacked and eliminated. Its bench is not as strong as it once was. Core al-Qaeda remains capable of inspiring others to act, but it is questionable whether it still retains the capacity to do in 2012 what it did in 2001. Much of the operational muscle of al-Qaeda has passed to its franchises or affiliates in Yemen, Iraq, the Maghreb, Somalia and potentially Nigeria, and close associates remain deeply engaged in Afghanistan. These units retain potent capabilities and have demonstrated the ability to hold territory and use it to challenge existing authorities, both in the region and beyond. In the face of the Arab Awakening, al-Qaeda has tried to force itself back into the spotlight with attacks on the Assad regime in Syria, the Maliki government in Iraq and the transitional government in Yemen. In other words, the armed struggle against al-Qaeda is not over. But the United States and its allies are competing smartly, generally avoiding actions (the Koran-burning an obvious exception) that al-Qaeda can easily exploit. The US withdrawal from Iraq took a major al-Qaeda rallying point off the table. The costly 2003 invasion and subsequent occupation validated al-Qaeda's narrative that the United States was at war with Islam. Now military force is being employed far more discreetly. The operations that took out al-Qaeda's two most prominent faces and voices, Bin Laden and Anwar al-Awlaki (the American-born radical cleric killed by a US drone strike in Yemen last September), off the playing field are good cases in point of strategic impact while putting few boots on the ground. Bin Laden's successor, Ayman al-Zawahiri, has released a steady number of videos over the past year, but has not commanded the global stage in the way Bin Laden did. The Obama administration's intervention in Libya came only after strong statements of support (and participation) from the region as well as a UN Security Council resolution that provided international legitimacy. Al-Qaeda tried to take advantage of Muammar Gaddafi's demise, but found itself on the same side as the Benghazi rebels - and Nato. Nonetheless, on the political front, al-Qaeda remains very much on the outside looking in. In the heart of the Middle East, historic transformations are underway in multiple countries. And al-Qaeda had almost nothing to do with it. The political environment will become even more challenging for al-Qaeda, which will struggle for relevance in a newly energised and empowered public space that is far more competitive than even a year ago and far less hospitable to al-Qaeda's narrative than five years ago. George Washington University Professor Marc Lynch, in his new book Arab Uprising, refers to a shared and cohesive narrative of protest that has swept across the region. Al-Qaeda is not shaping it and is barely a part of it. Even before Bin Laden's death, significant majorities across the Islamic world had stopped buying what he and his cohort were selling. For one thing, the vast majority of Muslims don't want to live in the world Bin Laden envisioned. For another, they eventually realised - helped by effective counter-messaging from the US government, the military and the Center for Strategic Counterterrorism Communications - that far more Muslims were dying in al-Qaeda's wars with the near and far enemies. Meaningful political, economic and social reforms will continue to undercut al-Qaeda's jihadist narrative. Bin Laden preached that violent resistance was the only available path to meaningful political and social reform, but the people of Egypt, Tunisia, Yemen and Libya dramatically demonstrated a clear alternative. Long excluded groups are engaged in an expanding civil society, trying to build political structures, not blow them up. The United States will be challenged in this new environment as well. The decline of al-Qaeda's popularity in the Islamic world has not resulted in a significant change in perceptions of US policies, despite the Obama administration's strong identification with protest movements from Libya to Yemen. Image caption Will al-Qaeda's message have any resonance for the Arab Spring generation? Some policy adjustments will be required while paying for more attention to regional public opinion than it has in the past. But al-Qaeda will be challenged more. The new Arab world will embrace many paths, not just one, hopefully with an expanding political space that is relatively peaceful, inclusive and tolerant - about as far from Bin Laden's vision as you can get. What we should see ongoing now is a fierce competition within the Muslim world about the future path of political Islam. There will be much trial and error, but the give-and-take among groups with different visions should have a moderating influence. The United States must be strategic and accept the process, messy as it will be, and engage the leaders and the people they represent. This is a new arena within which al-Qaeda will struggle to compete and certainly will not thrive. PJ Crowley is a former US Assistant Secretary of State in the administration of US President Barack Obama.